We know 53 titles are coming to the long-awaited Oculus Touch controllers when they start arriving on Dec. 6, and weve confirmed an additional 10 killer titles like Google Earth and Tilt Brush you can get through Steam that also work with Oculus Touch. Now just because these titles work, however, doesnt exactly mean full support. 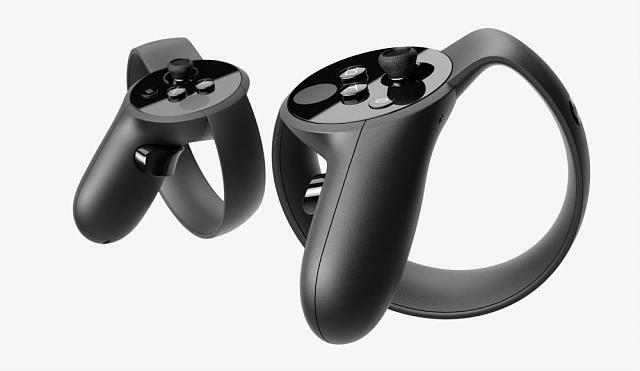 When you see the models of the controllers in your hands in VR they might look like HTC Vive controllers. Plus, the controllers wouldnt vibrate, at least not until today. Touch haptics are now supported in the latest SteamVR beta. We confirmed that the new update does work with a game like Longbow in The Lab. Longbow in particular makes excellent use of haptic feedback, simulating the feeling of pulling back a bowstring in a very believable way with the HTC Vive controllers. Weve confirmed that feeling is reproduced with the new SteamVR beta installed and Oculus Touch controllers. How well Oculus Touch is supported on Steam could have big implications for the ongoing development of the VR market. It means that buyers of the Rift could get access to some of the best content available from both the Steam and Oculus storefronts. Some HTC Vive owners have been using a hack called ReVive to access some Oculus store games on the HTC Vive, but whether the hack will work with games released specifically for Oculus Touch is unknown right now. This raises the very real prospect that, although the Rift apparently doesnt officially support tracking areas that are as large as the HTC Vive, using three sensors with the Rift in a room-scale setting could grant users access to the largest collection of high quality hand-controlled VR content. It's great, but still pricey to my think with the whole Rift, Touch and additional tracking camera, if only the 53 titles would come for free. EgoAnt and the_moesiah like this. I am glad to see Steam being rather open with their VR support. Lets hope this trend continues with all major VR players. Will this have effect on the Vive's new controllers?